From the stunning coastal roads of the Amalfi Coast in Italy, to the spectacular Romantic Road in Germany, continental driving offers some incredible options for an automobile adventure. And with the pound hitting a high against the euro in recent months, now is an excellent opportunity to get more mileage from your money. 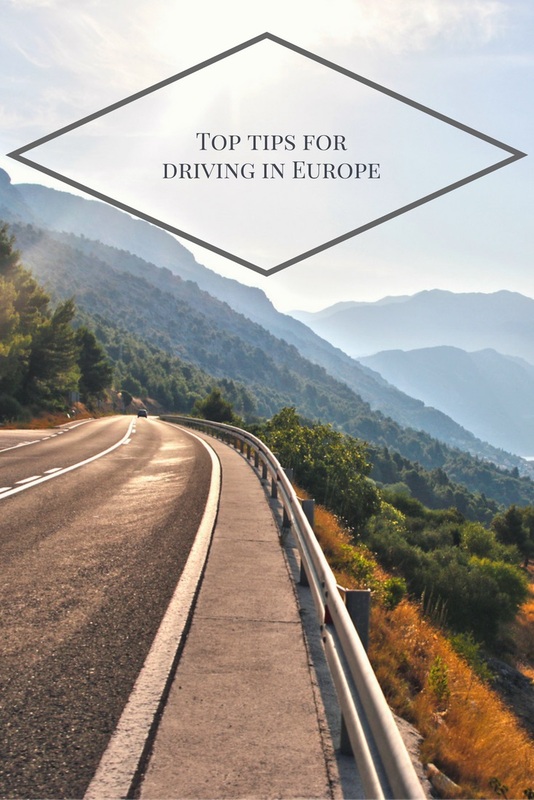 However, driving in Europe is vastly different compared to the UK – so there are a few things you need to take note of before you hit the highways. We spoke to Neil Greig, director of policy and research at the Institute of Advanced Motorists, who talked us through some of the checks you need to do and laws to be aware of if driving across Europe. Neil’s number one tip is to prepare the car by booking it in for a service if it is due. There are also checks that the car owner can carry out themselves, such as observing tyre pressure and topping up oil and coolant. He notes that it is essential to keep performing these inspections while you are away, because on a touring holiday you will be spending a lot of time in the car. When you’re on the road, regular checks should include tests of the tyres, oil levels, tyre pressures, windscreen and lights. A driving licence is obviously a necessity for this sort of holiday, but don’t forget the driving licence counterpart too. You will also need your vehicle registration document, insurance certificate and passports. You can use your Great Britain or Northern Ireland driving licence in all European Union or European Economic Area countries, including Switzerland. In some countries you will also need an international driving permit if you do not have a licence that incorporates a photo – these are available online. It is mandatory to stick a GB sign on the car, as failure to do so could result in an on the spot fine. However, if your number plates already encompass the GB Euro symbols, you will not need such a sticker. Europeans on the continent drive on the right side of the road, and while this practice feels strange at first, motorists soon adapt to it. However, before swapping the left side of the road for the right, make sure your car is ready for it. This involves adjusting the light beam pattern of your headlights to suit driving on the other side of the road and ensure that the dipped beam does not dazzle any oncoming drivers. Almost every country requires that you pack a warning triangle in your car, and since some countries insist you have two, it’s a good idea to double up in case you’re caught short. A number of nations also demand that a reflective safety jacket is carried in the car within reach of the driver (so not in the boot!). If you end up parked on the hard shoulder or in a lay-by, for whatever reason, you need to don this reflective jacket so you’re easily visible. All UK car insurance provides has to provide third party cover to drive in other EU countries. Check with your insurer if your policy has extra insurance for things like theft or damage to your car abroad. If you plan to drive outside the EU, a ‘green card’ proves that your insurance covers the minimum cover in the country you’re driving in. Ask your insurance company if they can issue you with one. If you are planning on travelling in Spain, you need to take a spare pair of glasses or contact lenses with you too – it is illegal not to! 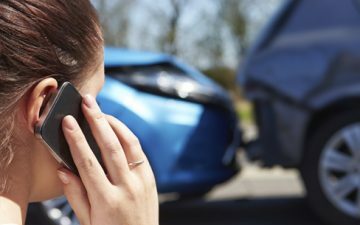 Does travel insurance cover car accidents?